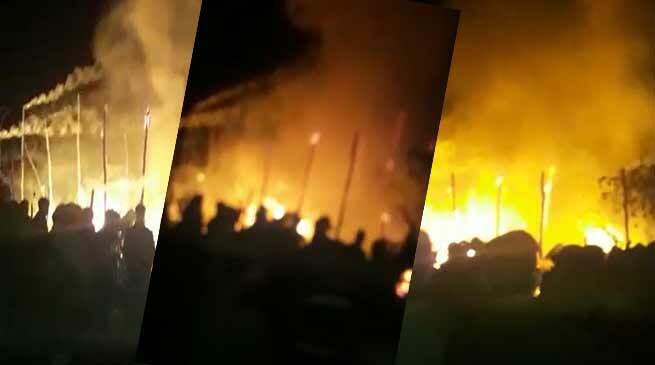 A massive fire which broke out in Puak Gumin area of Aalo township of West Siang district this evening which completely gutted a dwelling which remain the family homeless. He said on receipt of information, he also rushed to the spot with fire tender and the fire fighters manage to douse the fire from spreading into the locality. However all belonging and property of the family was gutted and turned into ash. Since there was no light for last night and as per information it is assume that the candle light burning may be source of the incident but investigation is underway.